Who Pays for Attorney’s Fees in a Personal Injury Lawsuit? A natural question to have as a personal injury victim is who will pay for your attorney. After all, you are considering a lawsuit because you do not have the money to pay medical costs, your living expenses, and you need to restore your financial health. So where could you possibly find the money to pay for a lawyer? Hiring an injury lawyer is not the same as hiring an attorney for other legal matters. In those instances, you are paying retainers, hourly fees, or flat rates. However, with an injury attorney, you are more likely to be dealing in contingency fees. The contingency fee unlocks your access to legal representation without upfront payments or worrying about how you will pay for your attorney. It is vital that you understand how these payments work, how they affect your settlement, and your rights before you sign any contingency agreement. More so, an attorney should discuss the fee arrangements, additional costs you might encounter, and explain the process so you are fully aware of how much you will pay. Doesn’t the Losing Side Pay Attorneys’ Costs in Sunrise Injury Cases? It is a common misconception that the losing side would pay attorney’s fees. Typically, each party pays their fees. Meaning, even if you are the injury victim and you win your case, you would be financially responsible for your lawyer’s fees while the defendant covers their attorney’s fees. Contracts – If there was an injury but also a contract involved, then the losing side may pay attorney’s fees if that contract states as such. Negotiations – Most personal injury cases settle out of court, which means both sides will negotiate a settlement amount. 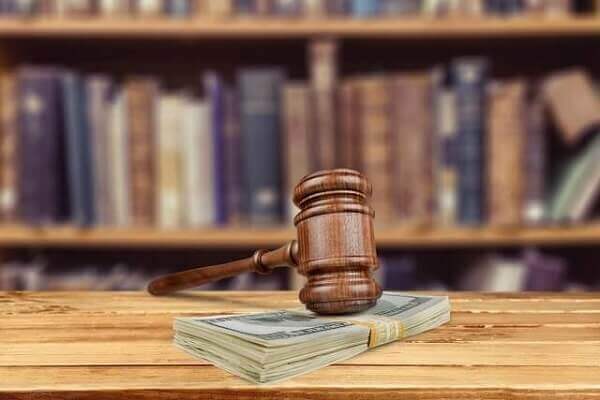 In some instances, the defense will pay the plaintiff’s contingency fee as part of the settlement – however, this is rare and never guaranteed. You can discuss with your attorney the chances of receiving payment from the defendant for your attorney’s fees and whether it is something you can work into a negotiated settlement. Judicial Discretion – Judicial discretion is broad in the area of tort law. Sometimes, a judge will feel it is in the public’s interest or appropriate for the victim to receive compensation for attorney’s fees. Statutes – Some laws require the losing side to pay, but these are often when lawsuits go against the government or benefit public interest – not a single party. As you can see, it is rare for you to receive compensation for attorney’s fees unless it is negotiated as part of your settlement or there is a unique situation that allows it. Instead, your attorney’s fees are more likely to come from a contingency arrangement. In injury claims, attorneys charge a contingency fee. By offering this, you can hire an experienced attorney without any upfront costs – such as a hefty retainer fee. Contingency fees are arrangements between you and the attorney you hire. If they succeed with your claim, they receive a percentage of the fee as their earnings. They might also deduct additional expenses that they covered as part of the trial. Depending on the stage of your case and how the attorney expects it to finalize, your contingency fee might vary. Some attorneys charge lower fees when they know the case will settle or it is in the process of settling. Other times, attorneys charge higher fees if they know that the case will go to court and be time-consuming – which limits how many other cases they could handle simultaneously. Whether you agree to a settlement out of court or you receive an award from the jury, contingency fees are percentages of that final amount. State statutes typically limit how much an attorney can charge for this percentage. You requests or needs at the time. What if the Attorney Fails to Secure Compensation? If your attorney fails to secure compensation in your case, as long as they continue to be your attorney, you are not charged a fee under the agreement you sign. Therefore, this puts the incentive on your attorney to work hard to settle, because they will not receive a payment without success. Before you hire an attorney, part of your hiring requires that you sign a contingency fee agreement. This agreement outlines your payment to your attorney, including the percentage, extra costs that are in addition to the contingency percentage, and exclusions. Once you sign this document, your attorney takes on your case and starts the process. If you were seriously injured in an accident or you would like to discuss your options for a settlement after a severe injury, contact The Law Offices of David M. Benenfeld, P.A., today. We can assist you with your automobile accident, slip and fall accident, and even wrongful death claims. Our team of injury advocates will help represent you against insurance companies, and we work hard to ensure our rates are competitive and our clients receive the justice they deserve. To get started, schedule a free case evaluation at 954-677-0155 or request more information online. Is Over-Medicating Nursing Home Residents Considered Nursing Home Abuse? Microblading – Who Is at Fault for Injuries from a Botched Procedure?